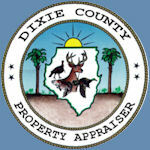 Dixie County's Property Appraiser is primarily responsible for locating, identifying, and valuing all property within the county for ad valorem tax purposes. He is also responsible for administering exemptions, mapping all parcels and classifying agricultural lands. Being custodian of certain county records, he must maintain property record cards, subdivision plats, ownership maps, sales data records and prior tax rolls. From these records, one can access our files, determine building size, a description of its components, and property characteristics.